King Gambrinus is the legendary king of Flanders, and an unofficial patron saint of brewers and beer lovers the world over. 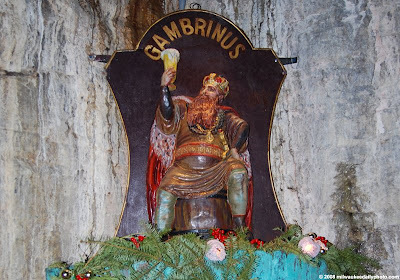 This statue of Gambrinus is in the Miller caves, and can be seen on the brewery tour. If you're out enjoying a cold one this week, remember to do so responsibly.